Beyond Blush: Wedding Wednesday: I'm Engaged, Now What!? Wedding Wednesday: I'm Engaged, Now What!? Welcome back to another Wedding Wednesday post! I've been engaged for a little over a month now, and I keep thinking to myself, "I'm Engaged, Now What!?" Here are some of my tips to newly engaged couples! 1. Enjoy your moment - Enjoy your proposal! I know that many women want to call their parents, friends, and family immediately following their proposal. I suggest taking an hour or two to enjoy your time as a newly engaged couple, you'll only get to experience this once! Your family will understand you wanting to wait a few hours to let them in on the big news. 2. Keep the news off of Facebook until all of the important people have been told personally - This will be hard, you'll want to scream the news to the whole world! But if grandma isn't told in person, she'll be quite hurt. You don't want her to hear about the news by aunt Sally calling her - you want to be the person who tells her. Once everyone important has been told, then you can change your relationship status, make a cute status, upload a photo of your ring, etc. Wearing Revlon's ColorStay Gel Envy in Wild Card - matches my floral skirt from Dynamite! 3. Talk to your fiance about a possible wedding date - Trust me, you'll be getting this question from everyone! If you have no clue about when you wanted to get married, you can simply say that you're in no rush, and you're excited to enjoy just being engaged for now. 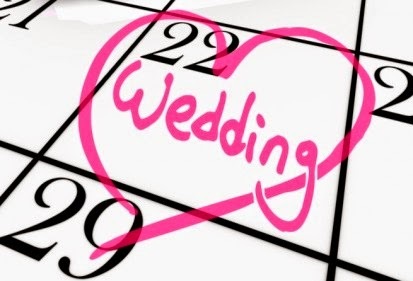 If your family demands a more precise answer, you can say something like "I've always wanted a Summer wedding" - that could mean Summer 2014, 2015, 2016, etc. 4. Get a wedding planner - not the human kind, but a paper wedding planner. This is still something that I need to do. 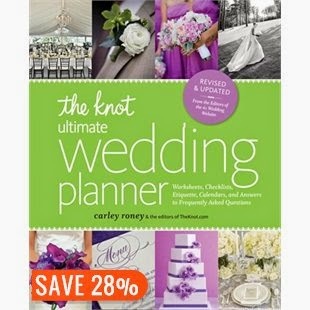 I have my eyes on The Knot's Ultimate Wedding Planner, on sale for $15.15 at Chapters (free shipping today also!). Wedding planners like this one will give you valuable tips and ideas, budget ideas, checklists, timelines, etc. You may find when you start going to try dresses on that you fall in love with something completely different from what you were looking at online! It's so hard to tell which dresses will flatter your shape until you're actually trying things on. I have to admit dress shopping was probably the most fun part of the wedding planning. It's a LOT of work! Um...that dress is sooo gorgeous! I am so excited for you. If you need any "bridal" advice you can always pick my brain! Great tips! That dress is very pretty.